The ITC Grant Handbook is a useful reference tool for ITC grant applicants and current grantees. You’ll find grant guidelines, program requirements, and eligible project types. Use the forms below to administer your ITC grant. We know the list looks long but, trust us, these documents will make your job a lot easier! This spreadsheet must accompany every Request for Funds. It includes a listing of each invoice number, a descriptive name, total amount, the amount of reimbursement requested, and amount used as cash match. Deposit: Requires original voided check or deposit slip. Cancellation: Mark the appropriate box. Please follow these logo guidelines when designing advertising or communication pieces produced wholly or partially with ITC Grant Funds. DO NOT use the logo on projects not funded by your ITC Grant. Our logo is an essential aspect of ITC brand equity. What properly protects the ownable and distinctive qualities of our brand are embodied in how the logo is used. Please reference the Visit Idaho Grant Logo Guidelines prior to any usage. A white box surrounding the logo should not appear when using this file properly. The logo will be set against the image behind it. NOTE: Vector-based artwork (line art) is scalable and must be used when producing large-format pieces, e.g., building signs, trade show banners, window displays, vehicle wraps, and billboards. While the size of the logo can be scaled larger, it must retain its original, established proportions. The logo should always be proportionate to the rest of the project. The logo should appear as the last frame of the product in a size large enough to make it and “visitidaho.org” easily readable by a viewer. The logo must “hang” on the screen for a minimum of three seconds. Go your organization’s Facebook business page. Like the Visit Idaho Facebook page (www.facebook.com/visitidahofanpage). 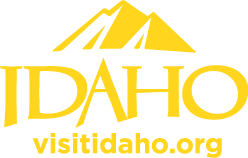 Click “Add to Favorites.” The Visit Idaho logo should now appear under your Favorites. Note: As Facebook often updates its processes, please search the Facebook Help Center if you need help adding Favorites. Please also add www.visitidaho.org as a link within your page’s About section. For information about other items relating to the ITC Grant Program, please feel free to contact us.